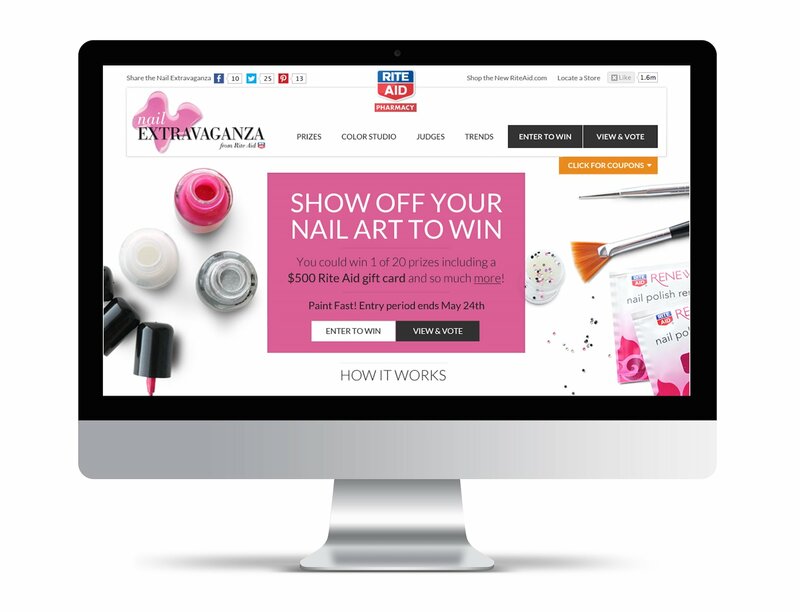 Rite Aid wanted a unique online experience positioning the retailer as a destination for all the latest in nails to drive customer acquisition, engagement and sales. 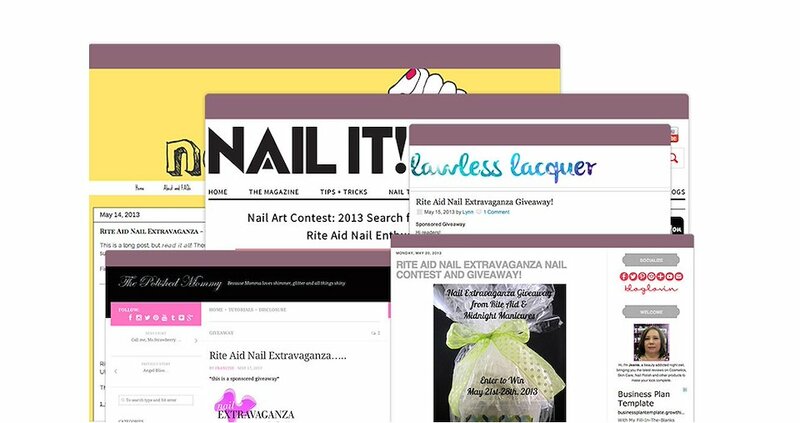 Rite Aid’s Nail Extravaganza was born, a 9-week promotion featuring a microsite housing user-generated nail art, nail tips and nail product coupons. 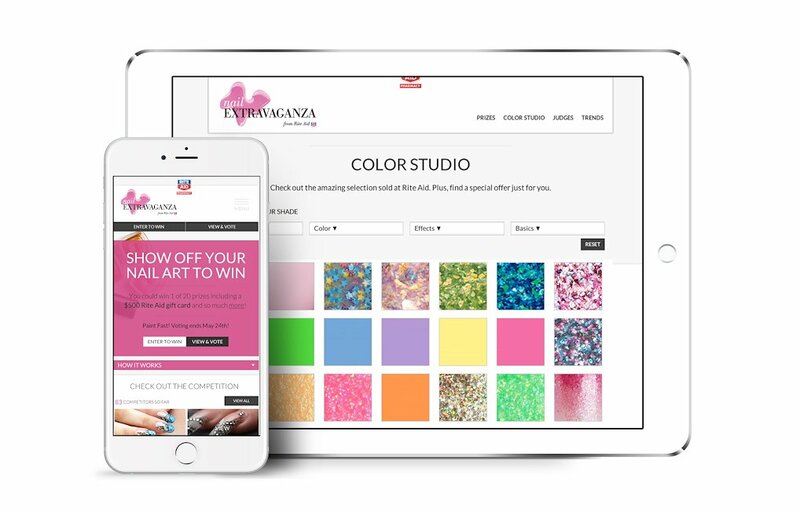 Amateur nail artists submitted designs for a chance to win prizes and gold status in Rite Aid’s wellness+ loyalty program. 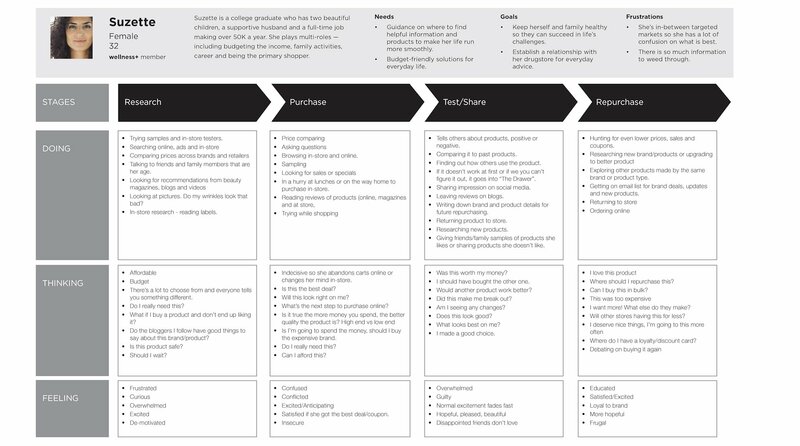 To make sure we understood Rite Aid's customers, we used qualitative data to create personas for thier Beauty segment. With a responsive-designed website and content across multiple social platforms, we created a groundswell of interest and participation. 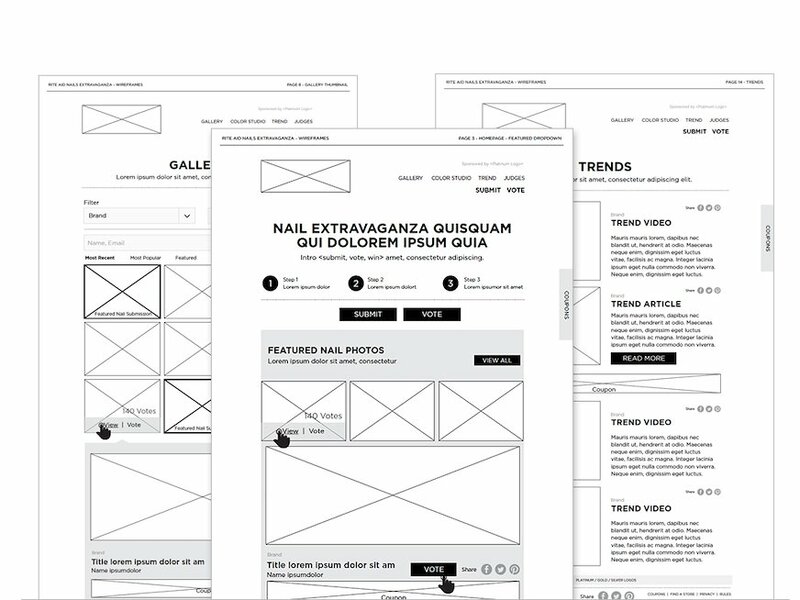 The campaign drove a significant increase in nail category sales during the promotion period. In addition, coupon redemption rates were more than double industry averages at 25% and more. Added bonus – the use of social log-ins for participation gives Rite Aid a leg up in keeping loyalty program contact info up to date.